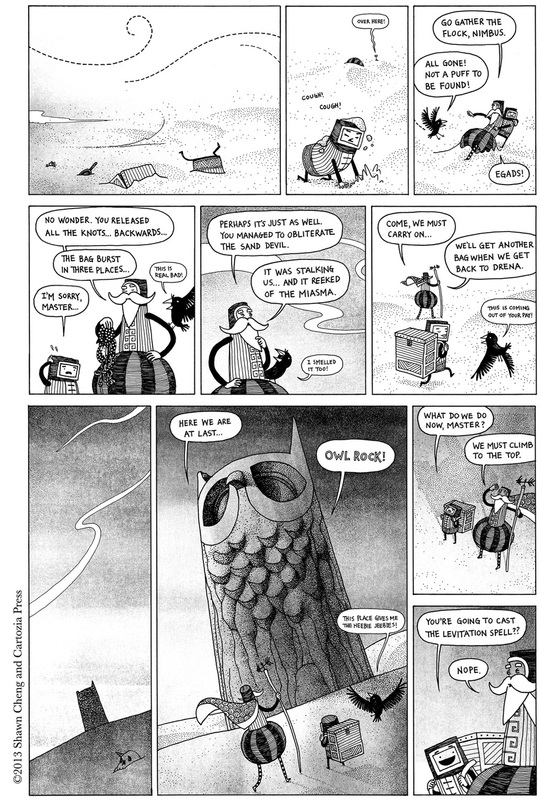 "Master Cyrus and the Boy: Journey to Owl Rock," by Shawn Cheng, is one of the nine stories in Cartozia Tales #1. What happens next with Master Cyrus, Blip, and Nimbus? Why did they plant that sprout atop Owl Rock? Subscribe to Cartozia Tales to find out!